The Industrial Assessment Center (IAC) at the University of Massachusetts Amherst offers in-depth assessments of energy and resource use at New England manufacturing facilities and water/wastewater treatment plants, with specific, impartial recommendations to reduce operating costs. Supported by the U.S. Department of Energy (DOE), our service comes with no cost or obligation. 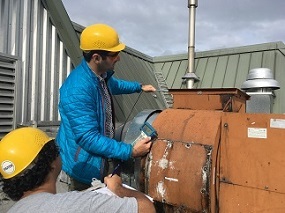 Assessments are conducted by a team of engineering graduate students, under the leadership of Mechanical Engineering Professor Beka Kosanovic, who has three decades of experience in industrial energy efficiency. Since 1984, our center has completed more than 800 assessments, while training dozens of engineers for careers in clean energy. First we compile and analyze the facility’s energy bills. Then we make a site visit, in which we talk with staff with about operations, production schedules, and areas of interest; tour the facility to review manufacturing processes; and use our metering and diagnostic tools to measure performance of key equipment. 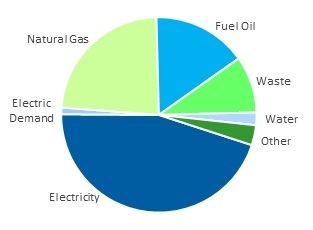 Within 60 days, we send a report on our findings and recommendations to reduce operating costs, such as measures to reduce electricity use, fuel use (including natural gas, oil or propane), electric demand, water use, or waste. The report includes detailed analysis of resource and cost savings and emissions reductions, along with estimates for implementation costs and payback periods. We can then work with your utility or energy efficiency program to help obtain incentives or rebates toward implementation of our recommendations. Read how recent clients Stanley Black & Decker, Philips Lightolier and a commercial bakery benefited from our assistance. See eligibility information, success stories and more detail below. For more information on the IAC program or centers in other regions, visit DOE's website. Our assessment requires a minimal time commitment from plant personnel and is provided through the U.S. Department of Energy at no cost. After confirming a client's eligibility and scheduling an assessment, we request energy and water bills for the most recent 12 months available. In advance of our site visit, we analyze the utility bills to determine the facility's rates and identify trends, peaks in usage, and key areas to review on site. Our site visit begins with a meeting with plant personnel, such as an engineering or facilities manager, in which we ask for a description of plant operations, processes, equipment, any specific areas of interest or concern, and goals for the assessment. Then we ask plant personnel to walk us through the facility and explain the manufacturing process and flow of materials, while we note areas that may have energy efficiency or waste reduction potential. Our team then returns to specific equipment and processes to collect additional details and data. 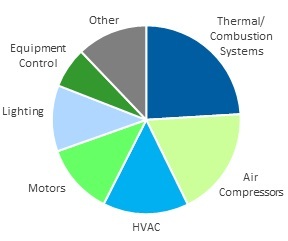 We bring extensive metering and diagnostic equipment to measure operating characteristics such as electricity use, combustion efficiency, power factor, air flow, process temperature, ambient temperature, and light levels. We may leave data loggers on site to measure operation over a weeklong period. We conclude the site visit with another brief meeting with plant personnel to discuss our findings so far and outline potential recommendations. Our team typically spends one day on site, but two days may be scheduled for certain facilities. After the site visit, our team researches and analyzes both technical and financial factors for each recommendation, and then develop estimates for implementation cost and annual cost savings. Within two months after our site visit, we send a detailed report to the client. The report describes each recommendation and includes calculations for annual resource and cost savings, emissions reductions, implementation cost, and simple payback period. 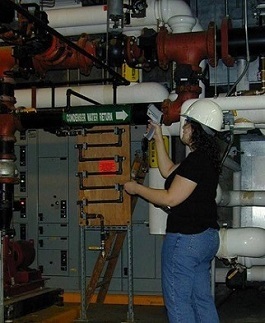 Recommendations may include modification or replacement of equipment, installation or reprogramming of equipment controls, updates to maintenance procedures, or adjustments to operating schedules. The report also includes background information on the facility's energy costs and usage patterns. The IAC team follows up with clients approximately six months after delivering the assessment report to find out which recommendations have been implemented or are under consideration. This information is critical for DOE to track the results of the IAC program, as well as to inform and improve our future work. We understand the sensitive nature of some information collected for our assessment, and we are careful to maintain our clients' privacy. The raw data collected on site and full assessment report are confidential. Each IAC is required to annually submit a list of clients to the Department of Energy for internal use. We also submit assessment recommendation data, without company name or location, to the IAC field management team at Rutgers University, which enters selected information on each assessment into the IAC Database. We may ask some clients to participate in case studies to promote the IAC program and highlight the company's efforts to improve their efficiency. We will only publish identifying details such as company name and location with the client's written permission. The UMass IAC has conducted more than 800 assessments for a wide range of manufacturing facilities across our region. On average, in the past 10 years, we have made 6 recommendations per assessment, with projected annual savings potential of $94,000 and 400 tons of CO2, and a simple payback period of 2 years. Visit our success stories page to read how some of our recent clients - including Stanley Black & Decker, Philips Lightolier and a commercial bakery - benefited from our assistance.